Flexible Coworking Spaces have become a preferred way of working over the traditional offices. In fact, Freelancers, entrepreneurs, home workers and startups are increasingly using technological platforms to search a space which operates on flexible timing along with maintaining the professional ambience of an office. These spaces are boon to working mothers, business travelers, vacationers and employees on medical leave. Flexible working began with the idea of working from home and eventually graduated to working from a business center or a serviced, coworking or shared workspace. Technology has also brought in the ease to search, inquire about, and book real estate online or through apps. These apps show 360-degree images of the properties to give a clear picture of the space, corners, walls and windows, and assure the best price. Talking about such technological platform reminds me of OfficingNow. OfficingNow is dedicated to help people in every step of their “Officing” journey to benefit them from flexible working. Their workspaces are a blend of flexible and disciplined environment that promise a state-of-the art features and professional facilities and backed by expertise that will help you choose the right workspace for your need. 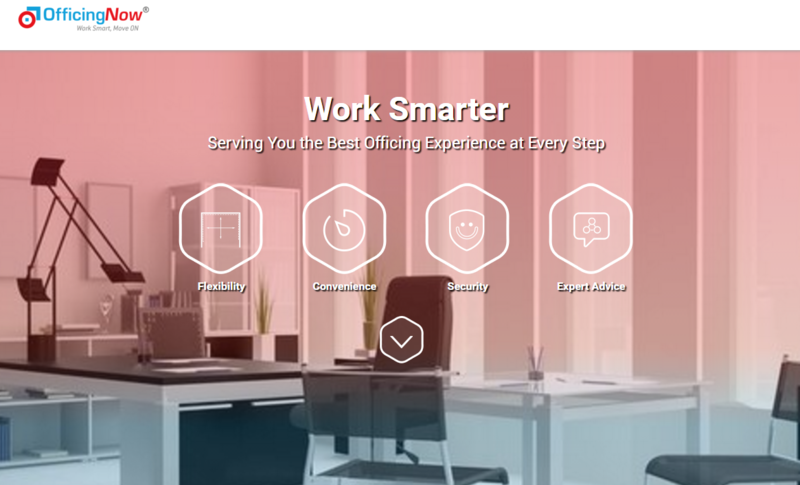 OfficingNow rightfully boasts of the variety and quality of workspaces they offer, considering their portfolio that includes Furnished offices, Training halls, Conference rooms, Day Offices and Virtual Offices all on a single platform! Professional workspace– as mentioned earlier, anyone who needs to focus on their work and multiply their profitability will require a disciplined space to work from. And these attributes are critical for a startup to sustain themselves. A shared space has everything that a startup would need given the variety of workspaces that it offers and the professional feel of the venue. Low cost– with the flexibility of booking workspaces according to the number of people and time frames – on hourly, daily and monthly basis – the math proves that renting a shared space incurs minimum expenses. Critical Amenities– All the workspaces are professionally managed and have the following amenities and facilities: reception service, high-speed internet, with dedicated bandwidth and network security, F&B, functional kitchen and pantry, projector, CCTV, hands-on security personnel, fire exits, first-aid kit, hygienic washrooms, adjustable lighting and air conditioning, uninterrupted power supply, parking, 24×7 access and multiple plug-points. Hassle free– the availability of the above three enables people to focus on their business and growth rather than waste time on unproductive matters of office space utility management and maintenance. The convenience that happily tags along a shared space attracts startups. Networking – a shared space, being a hub of talented, bright minds with different expertise, provides a great opportunity to connect, bond and share. Conversations and networking are abuzz in a shared space that encourages knowledge flow of latest trends, strategies and ideas. And collaborating with OfficingNow will check all the above mentioned pointers, promising you a courteous, convenient and cost-effective deal. Not only do their workspaces look official, their dealing is also very professional with no hidden agendas or cost, thus making OfficingNow the most preferred shared space provider. They also offer instant booking services to take care of your last minute meetings. Use their mobile app or website to know more.